The presumption of innocence is the foundation of what is referred to as “due process” of the Rule of Law in our democratic society. It is the responsibility of investigators to review, investigate and analyze criminal and civil allegations made by those persons who represent themselves as victims or otherwise injured persons. These investigations, be they criminal or civil in nature, involve the careful and focused analysis of circumstances, statements, facts and forensic evidence. In so doing, investigators must carefully identify and weigh information, facts and evidence that are exculpatory or innocent in nature; from those which are inculpatory, or criminal or negligent in nature. Unlike attorneys or politicians, who advocate for people, causes, or political ideologies; true forensic investigators advocate only for forensic facts and evidence as best that they can determine upon review of the evidence acquired during their investigation. Given the increasing introduction of the body politic into criminal investigations, the task of investigators to focus on a search for the truth, rather than falling prey to political pressure, becomes a significant challenge and stressor. “Every case is what it is,” with all of its warts, ugliness and “baggage.” In the case of allegations of sexual impropriety or abuse; especially those cases where the alleged incident has gone unreported for a number of years and then suddenly surfaces proximate to some political event; investigators must be particularly attentive to separating the involved parties’ statements from any political motive, attempt at manipulation, revenge, or retribution. The fact that the figure of Justitia, or Lady Justice, we see standing outside many courtrooms, or on criminal justice symbols, wears a blindfold, speaks to the responsibility that investigators and prosecutors must never display implicit, confirmation, cause or political bias in their investigations or prosecutions. Once politics and politicians seek to influence the course of an investigation, that investigation becomes sullied and incredible. It must always be remembered that politicians rarely place truth above self-serving political advocacy. Investigators, prosecutors and triers of fact must legally rely upon “standards of proof” in making their determinations, findings, opinions and judgments. It is important to understand that the courts preclude investigators from using mere suspicions, speculation, opinions, hunches or educated guesses to conclusively form any standard of proof. 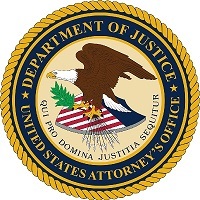 The lowest level standard of proof is referred to as “reasonable suspicion.” Reasonable suspicion is generally defined as circumstances, statements, facts and/or forensic evidence that would cause a prudent investigator to believe that criminal activity has occurred, is occurring, or will occur and that there is some connection between a person and that activity. Reasonable suspicion allows investigators to involuntarily detain people in the field and conduct investigations. A higher standard of proof is referred to as “probable cause.” Probable cause is generally defined as circumstances, statements, facts and/or forensic evidence that would cause a prudent investigator to believe that a person has committed a crime. Probable cause allows investigators to affect arrests in the field, or file for search and arrest warrants through prosecutors and magistrates. Probable cause is also the legal standard used by Grand Juries to indict. The highest legal standard in criminal cases is referred to as “guilt beyond a reasonable doubt.” This standard is reserved by triers of fact such as judges and juries to convict criminal defendants of crimes. Forensic investigators and court experts play no role here. In non-criminal civil cases, another legal standard referred to as a “preponderance of evidence.” With this standard, the greater weight of evidence required in a civil lawsuit involving the trier of fact allows them to decide in favor of one side over the other. This preponderance is based on the more convincing evidence and its probable truth or accuracy, and not the amount of evidence. Thus, one clearly knowledgeable witness may provide a preponderance of evidence over several witnesses with hazy testimony; or a signed agreement with definite terms may outweigh opinions or speculation about what the parties intended. As with any criminal investigation and adjudication (trial) process, in civil cases, injured parties and witnesses are precluded from offering speculation, suspicions, hunches or educated guesses to support their testimony before the trier of fact. In fact, that’s why judges and juries are referred to as “triers of fact,” instead of triers of speculation or guesses. Again, forensic investigations and witness testimony need to be fact dependent. Therefore, the responsibility of the investigator, prosecutor and triers of fact is to attempt to reconcile circumstances and statements against forensic facts and evidence. In many cases; especially those involving allegations of sexual impropriety or assault, this is no easy chore. Since allegations of sexual misdeeds are very serious in nature and lives and reputations can and have been irrevocably destroyed by specious and untrue claims; the statements of persons who represent themselves as victims need to be thoroughly documented and carefully vetted. Investigators need to be very careful that they do not allow their willingness to provide professional investigative support to become conflicted with their primary responsibility to conduct a thorough and unbiased investigation. To meet the legal standards of proof, investigators and prosecutors providing legal oversight must ensure that the forensic interviews of complainants, witnesses and persons of interest are supported by verifiable facts and forensic evidence. The jurisdiction, date(s) and time(s) of the alleged offense(s) must be verified. Statements of any witnesses supporting the complainant must be obtained, documented and vetted. The statements of suspects or persons of interest must be thoroughly vetted. Forensic evidence obtained either voluntarily or through a search warrant must be documented and analyzed. Finally, all of the statements of the involved parties in each investigation must be reconciled against the evidence obtained to determine more likely than not what did or did not occur. It is always difficult for the public to look at any sexual assault or other high-profile serious allegation in terms of a search for the truth. They become emotionally engaged, rather than using common sense and relying upon the Rule of Law and the legal standards of proof. This problem is exacerbated by self-serving politicians, political activists and a politically leaning and agenda driven news media. It is the responsibility of the forensic investigator to keep their distance from such noise. Contrary to some popular opinion that investigators do not reach conclusions in their investigations; investigators reach forensic conclusions in every case that they investigate. Their conclusions involve preliminary determinations of whether or not reasonable suspicion, or probable cause exist to take further law enforcement action. However, investigators also take difficult cases to the office of the prosecutor for final evaluation and input because it is the prosecutor’s responsibility to ensure that investigations are properly conducted. Unlike we see in television crime drama programs, a criminal investigation does not end when an arrest has been made. In fact, this is where the in-depth investigation actually begins because now the prosecutor needs to make sure that any criminal case filed upon with a criminal defendant can meet the highest legal burden of guilt beyond a reasonable doubt. As discussed, in a non-criminal civil case, the emphasis must focus of a preponderance of evidence composed of statements supported by facts and forensic evidence. It is difficult for the public and the news media to accept that in some incidents of alleged sexual misconduct, the allegations of people representing themselves as victims and otherwise injured persons cannot be supported by verified circumstances, witness statements, facts and/or forensic evidence. There are many reasons for this to include, but not limited to hazy or incorrect memories; intoxication/drug influence; mental health instability; the temporal relationship between the alleged event and the complaint; lack of supporting witness statements, a lack of supporting forensic evidence; the complaint’s voluntary complicity with the identified actor; and deceit. Political spin and special interest advocacy does nothing to enhance or benefit the search for the truth, or the cause of justice for anyone. In fact, such interference diminishes and denies us of our due process. Therefore, we can never allow such interference to stand since ultimately, we might all fall victim to the denial of our civil right of fairness and due process. Ron Martinelli, Ph.D., is a nationally renowned forensic criminologist, investigator and a federal/state courts qualified expert. Dr. Martinelli, is a retired police detective who has investigated a number of sexual assaults during his career. He currently experts for the U.S. Department of Justice, a number of State Attorney Generals’ Offices, municipalities and national prominent private law firms specializing in civil rights. Previous Post Security Clearances – Entrustment or Entitlement?